Ah, Sunday. 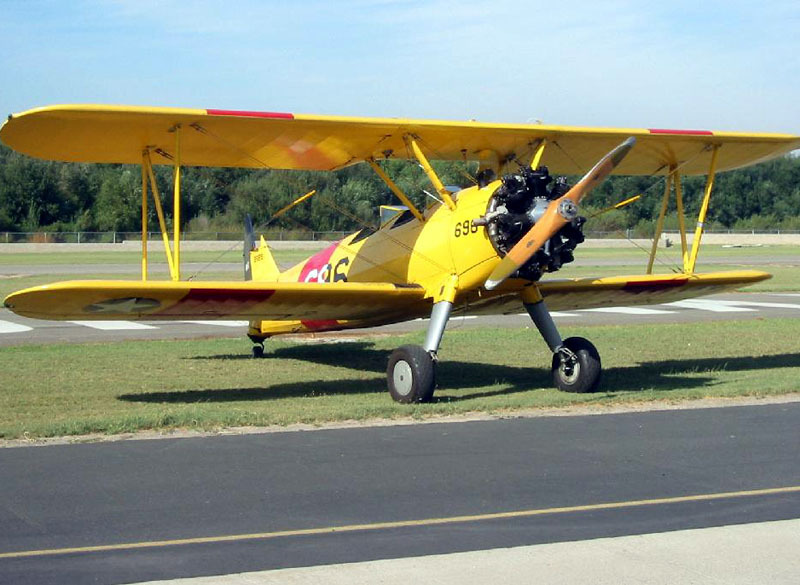 And what a lovely day it was, flying the Stearman round and round the pattern, landing on the grass, two-pointing it on the pavement, and generally spending a September afternoon the way God intended: in a sixty year old, tube-and-fabric, radial engine, open cockpit biplane. From turning the prop through a dozen times by hand to hearing that throaty radial engine kick over, the whole experience just exudes 1930’s Americana. It doesn’t hurt that Corona Airport is the only place I know of in Southern California where you can land on grass. Corona is also home many museum-worthy airplanes. Stearmans, Wacos, Nanchangs, a Jungmeister, a WWI era Nieuport 17, even a DC-3 named Rose. Homebuilt planes, helicopters, gyroplanes… it goes on and on. One of my first days out at Corona, I was greeted by a Ford Trimotor sitting on the south grass. Whenever I mention the Stearman, invariably someone will ask about a white scarf. You know, the romance of flying? Alas, I always answer in the negative. There was no scarf — so sue me. It’s an urban myth anyway, you know. Letting any fabric attached to your neck whip around in a 100 mph breeze is asking for trouble (don’t ask how I know that). Besides, while there’s a lot of romance involved in flying a classic biplane, it’s not exactly a carefree existance when you’re sharing the same radio frequency with four nearby airports. 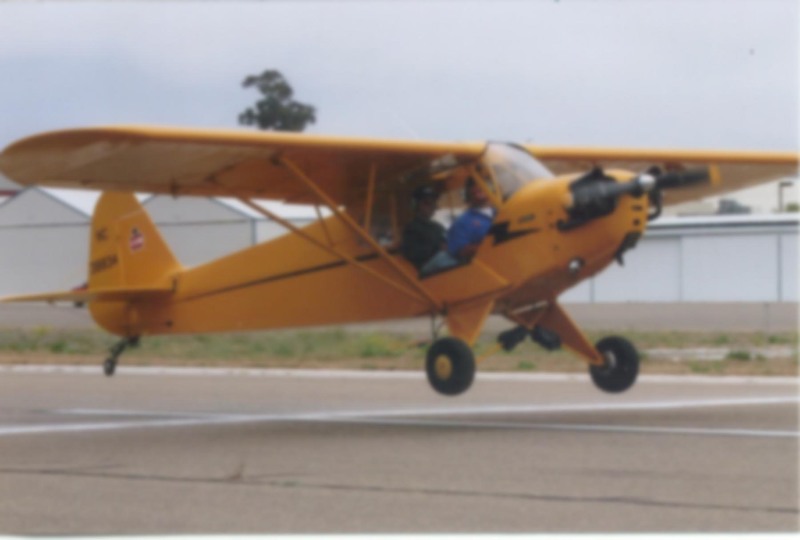 “Stearman 696 left downwi..sc%*#erokee two miles west desce%(!~*=%@… eft turnout, Catalina… #er&%okee’s on final f@#$%essna in sight…” Did you get all that? Is the carb heat on? Where was that Glasair on final? Watch your speed. Where’s that Baron that just called on the 45? It was great up in the sky, but once the fun was over… well, I think a politician must have been stumping somewhere nearby, because there was more hot air in the Santa Ana Canyon today than can possibly be expressed with mere words. It wouldn’t have been so bad if there’d been a breeze, but apparently the hurricane(s) in Florida are sucking up all the wind. 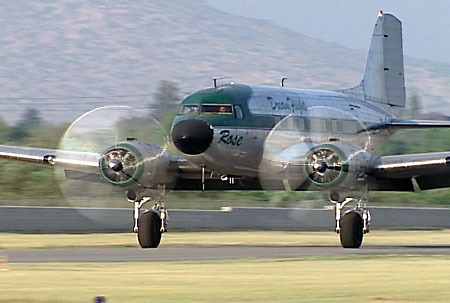 The mercury read 109 degrees inside the hangar, and that was with the 40 foot wide door completely open. For the love of Pete, the dog days are supposed to be in August. Does one ever get used to hearing grandma speak that way? Back at the hangar, it was four o’clock so the lot of us made like a tree and melted. It took nearly 20 minutes for the air conditioner to cool down the car on the way home. That’s just Wrong. It’s one thing to get out of a biplane covered in perspiration. It’s Manly. You were busy with Pilot in Command Duties(tm). But nobody wants to drive and sweat at the same time. It’s so déclassé. Eventually I arrived home to discover that the air conditioner was not working. Probably because I don’t have air conditioning. The good news is that it was only 102 in Irvine. But so what? No dry heat sauna can ruin my day. I took that Stearman and had my way with her! You can’t buy that kind of fun, even in Vegas (don’t ask how I know that).